Part of the Autism NOW Center’s mission, embedded in staff from the beginning – be a “dynamic and interactive” resource. We’re working on many new features for the site that we’ll launch soon, and help us toward that goal. But you don’t have to wait to participate in what the center does every day. 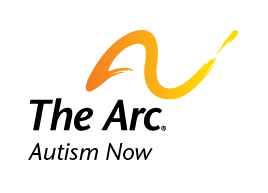 Help Spread the Word about the Autism NOW Center: Organizations and bloggers can take advantage of this toolkit with basic information and promotional material about the center. The downloads are free. Contribute to our Blog: Speaking of bloggers, if you have something good information, resources and/or ideas to share with our audience, you can write a guest post for our blog. Check out these blog guidelines for details. How else can we accomplish our mission of being a dynamic and interactive resource? Let us know by sending us ideas. Date posted: November 30, 2011. Content created by The Autism NOW Center. Last updated: March 21, 2018.